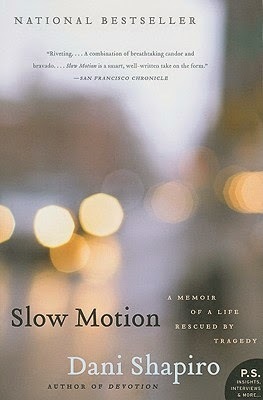 Her research has led to more than three dozen published books, fiction and nonfiction. To keep from becoming stale, Sherry likes to mix it up—writing picture books, easy readers, middle-grade novels, and YA. 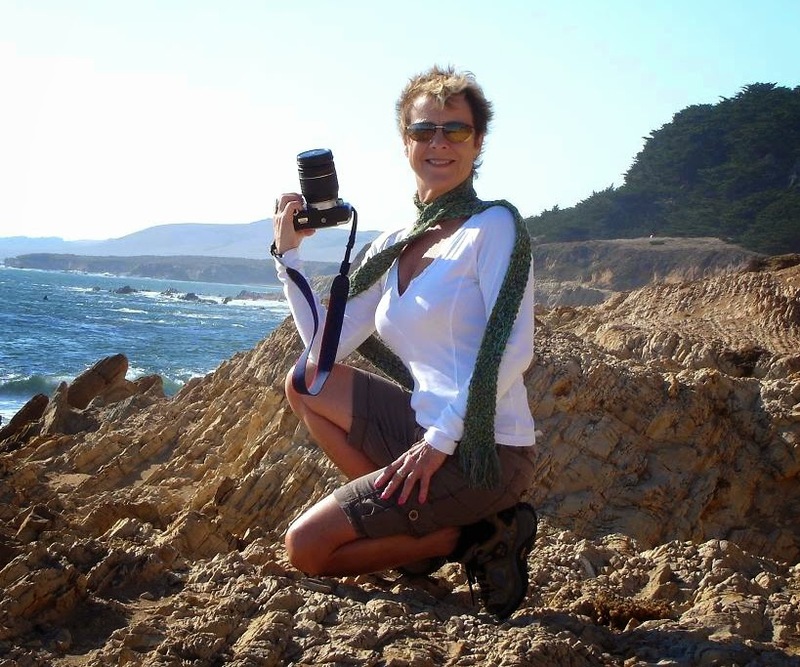 She holds an MFA in Writing for Children and Young Adults from Vermont College of Fine Arts and teaches a writing course for UCLA extension. 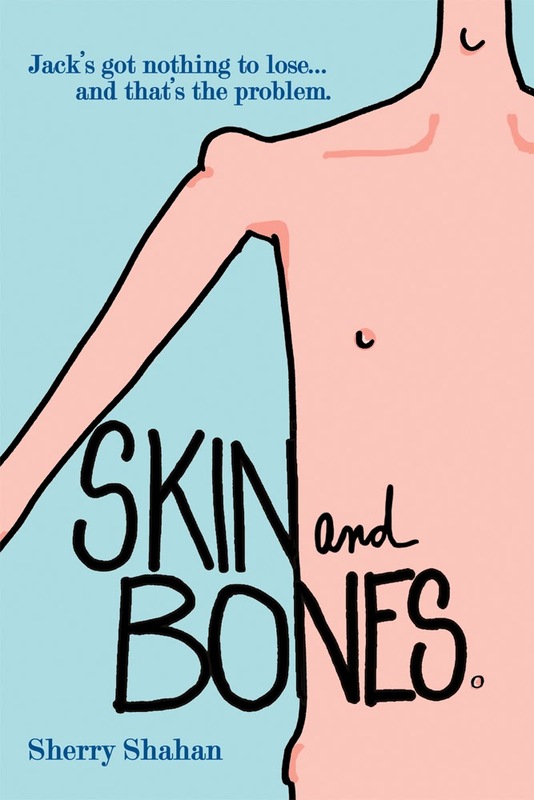 Her new young adult novel Skin and Bones (A. Whitman) is a quirky story set in an eating disorder unit of a metropolitan hospital. The main character “Bones” is a male teen with anorexia. He falls desperately in love with an aspiring ballerina who becomes his next deadly addiction. Thank you, Sherry, for this terrific Wednesday Writing Workout! Readers, if you give these exercises a try, do let us know how they work for you. For Poetry Friday, I'm sharing a poem from a book coming out this fall from J. Patrick Lewis and George Ella Lyon. 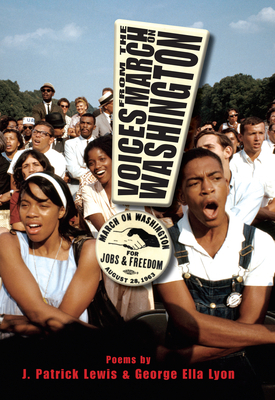 I just received an ARC of Voices from the March on Washington (WordSong), and I've only read three of the poems. But they all knocked my socks off! I'll share more closer to the publication date, but here's a sneak peek to whet your appetite. This lovely poem especially connected with me because I just wrote three poems about diversity for consideration for a friend's scholarly book on children's literature, and the one he chose uses blizzard/snow imagery as well! And I love the way you can create many different complete thoughts that kind of overlap each other because of the line breaks. Gorgeous. 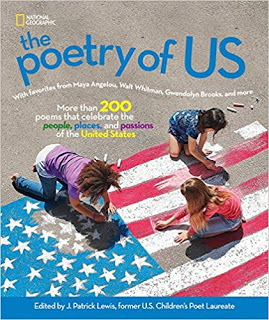 Sylvia Vardell and Janet Wong, creators of the amazing Poetry Friday Anthology books, are hosting the Poetry Friday Roundup at Poetry for Children. Don't miss it! Now on to what I've been reading. I've been working on attacking my to-read shelf this summer! I joined the Book-a-Day Challenge through Donalyn Miller and the Nerdy Book Club (http://nerdybookclub.wordpress.com/2014/05/18/the-sixth-annual-book-a-day-challenge/). My goal is to average a book a day (surprise:>) And it's not too late! You pick your start and stop days, so if you have one month left of summer, go for it. Commit to reading a book a day, and share your books on your blog or Twitter (#bookaday). I post mine on Twitter--that accountability is great. Anyway, the thing I've learned most is that having a book-a-day really helps me get to a lot more picture books and poetry books--which are my favorite books, anyway. But they often get lost in the shuffle as I read research books or escape into mysteries. Below are the most recent 10 books I've finished. I have more in progress. Looking over my list, I would say two other things I've learned are that I abandon books without guilt now (a major change from 10 years ago), and I want to read MORE picture books and poetry. Once book-a-day ends, I might have to come up with a picture book plan to keep me going! P.S. Check that last book for the most finely-crafted nonfiction picture book I've read in months. Drama, a lizard wizard, an evil crow, and a superhero worm. All in delightful rhyme. What more could you ask for? 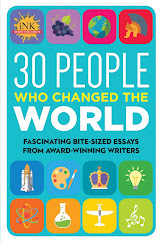 Basically a perfect nonfiction picture book. The primary text, secondary text, and art work beautifully together. 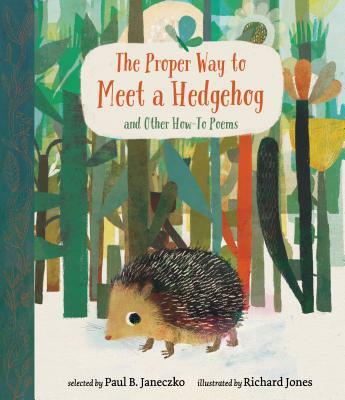 Great mentor text for exploring functions or for using similes. And terrific for units on birds. Gorgeous work! 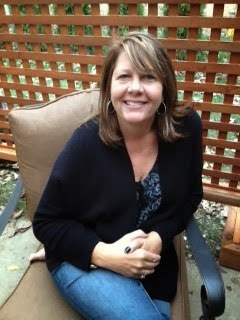 Today I'm happy to share a guest Wednesday Writing Workout from the amazing Kym Brunner, who is celebrating the release of not one, but TWO, novels this summer. When I met Kym at an SCBWI-IL conference a few years back, I couldn't get over her enthusiasm and energy. 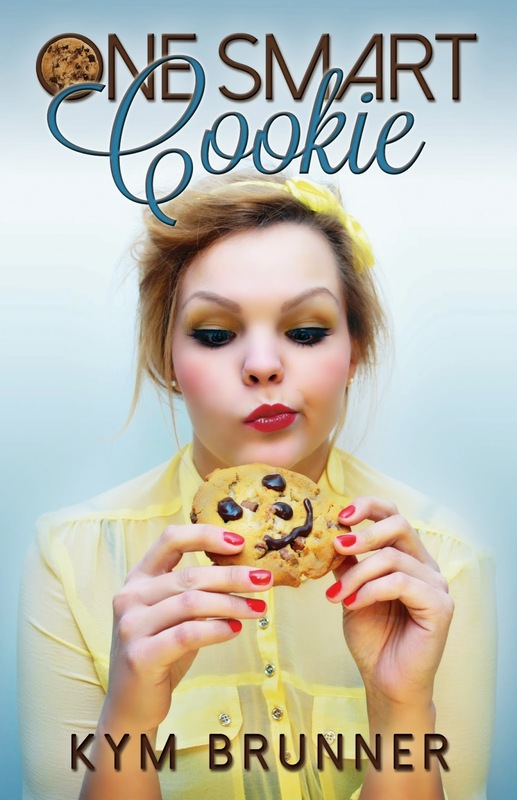 I had no idea how she found time to write, given that she was a busy mom with a full-time teaching job (teaching middle-schoolers, no less!). According to her bio, Kym's method of creating a manuscript is a four-step process: write, procrastinate, sleep, repeat. She's addicted to Tazo chai tea, going to the movies, and reality TV. When she's not reading or writing, Kym teaches seventh grade full time. She lives in Arlington Heights, Illinois with her family and two trusty writing companions, a pair of Shih Tzus named Sophie and Kahlua. But when Sophie meets two hot guys on the same day, she wonders if this a blessing or a curse. And is Sophie's inability to choose part of the reason the bakery business is failing miserably? The three generations of women need to use their heads, along with their hearts, to figure things out...before it's too late. Today Kym shares a terrific Wednesday Writing Workout on dialogue. SHH! DIALOGUE SECRETS YOU DON’T WANT TO MISS! Quick! After a person’s appearance, what’s the first thing you notice when you meet someone? If you’re like most of us, it’s what comes out of their mouths. First impressions and all that. But when you read, you can’t see the characters, so your first impressions are made based on what the characters say, not how they look. Simple concept, right? Not so simple to deliver. SO…HOW DO YOU MAKE YOUR CHARACTER MAKE A GOOD FIRST IMPRESSION? How do you know if it’s believable or not? Put on your walking shoes and get out your notebook! Head to the spot where the prototype of your character would go. Need to write teens talking together at lunch? Go to a fast-food restaurant near a high school. Want to know what couples say when they’re on a date? Head to a movie theater early and go see the latest romantic comedy. You get the idea. ***HINT: LISTEN AND TAKE GOOD NOTES. I promise you’ll forget the words and how they said them if you don’t. There’s a famous writing cliché that says a reader should be able to read a line of dialogue and know who the character is without the identifying dialogue tag. The key is being the character when you write his or her lines. Imagine YOU are the sensitive butcher who is very observant (seriously, picture yourself looking out of the eyes of the butcher with your hands on a raw steak) and then write his or her lines. Better yet, listen to a butcher talk to customers and/or interview one to ask his top three concerns about his job. You might be surprised to learn what those things are…and so might your reader. ***HINT: SWITCH INTO THE MINDS of all of your characters (even the minor ones) as you write to create words that only THEY would say. 3) Consistent, yet unexpected? Huh? Your job is to make sure your characters are real, that they speak the truth (or not, depending on who they are). In real life, characters might keep their thoughts to themselves. Not so in fiction. Characters that are pushed to the brink must speak out––to a best friend, to the cabbie, to the offending party, to the police. Yes, we want dialogue to be authentic, but it IS a story and it does need to intrigue your readers. So let them speak their mind and propel the story ahead by providing interesting thoughts for your readers to mull over. ***HINT: TO KEEP PACING ON TRACK, use frequent dialogue to break up paragraphs of exposition. Cut to the chase. No one likes listening to boring blowhards, so don’t let your characters be “one of those people.” Remember tuning out a boring teacher? That’s what didactic dialogue and info dumps feels like to your readers. Only include information that’s absolutely necessary for the story’s sake and skip the rest. You might need to know the backstory, but keep it to yourself. ***HINT: READ ALL DIALOGUE OUT LOUD. Change voices to the way you imagine the characters interacting and it’ll feel more “real.” If you’re bored with the conversation, so is your reader. If it doesn't sound the way a person really talks, cut it or revise it. 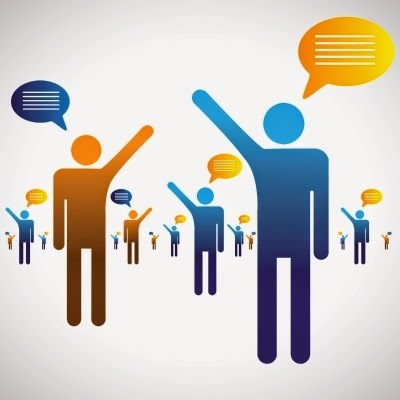 Listen to real people and you’ll notice most of us talk in short sentences with breaks for others to add commentary. So there you have it. Write dialogue that’s believable, fits the characters, necessary, and natural and your readers will come back for more! 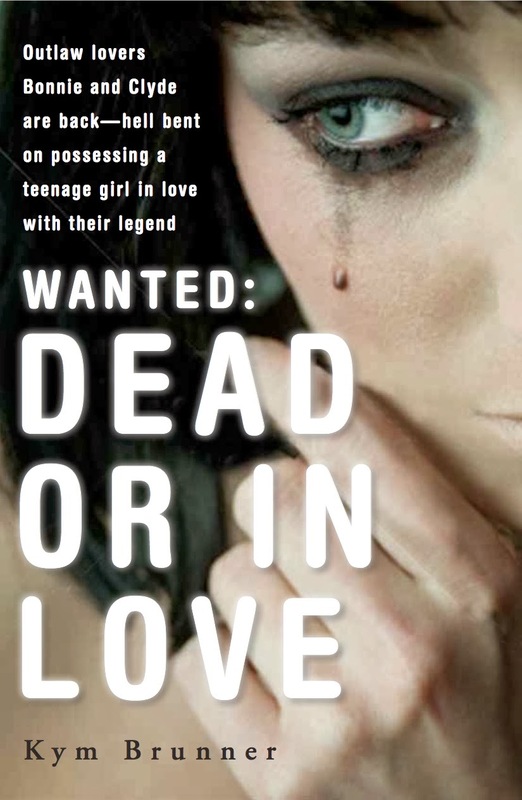 Hopefully you’ll find authentic dialogue galore in Wanted: Dead or In Love, which features two alternating POVs––one from Monroe (a modern-day teen who becomes possessed internally by the infamous Bonnie Parker), and the other from Clyde Barrow himself (who works hard to take over the body of Jack Hale, a teen male). And if cultural humor is more your style, you’ll get a helping of Polish spirits along with a bounty of teen angst in One Smart Cookie. Each summer I order 15-20 new picture books to share at the Whispering Woods Picture Book Workshop hosted by my friend Linda Skeers and me. When a shipment arrives, I carry them in a big stack to my sofa, then sit down with them on my lap. I open the top cover of the top book, inhale that new-book smell, then slowly and blissfully read my way through the stack. The flip side is when I'm making my way (aloud) through a book – la, la, la – and a passage makes me STOP and catch my breath. In a good way. And I have to back up a page or two and come into it again. You know, to see if it was really that good, if it will make me stop and smile again. If it does, the next thing I have to know is "How'd she DO that?" "Mrs. Poodle admired her new puppies. 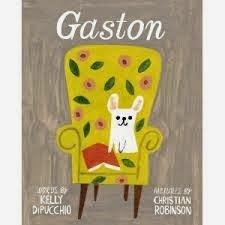 "Fi-Fi, Foo-Foo, Ooh-La-La, and Gaston." Now, first of all, how fun is it to read those names aloud? Real. "Would you like to see them again? 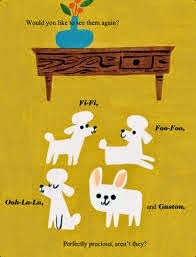 "Fi-Fi, Foo-Foo, Ooh-La-La, and Gaston. Oh, man. See what she did there? See how the text comes across feeling light and off-hand? She never says: "Be sure to notice, kids, that one puppy is different." No. She finds a way to make sure kids see that difference WITHOUT telling them to, then blithely moves the story along with that slightly-flippant last line: "Perfectly precious, aren't they?" THAT, ladies and gentlemen, takes a confident writer, one who knows her craft – and how to make a point without hitting us on the head with it. The next thing I have to wonder is if this passage was in the book from the beginning, or was it added late in the process? I'll probably never know. But I love it when I come away from a book inspired to write better. And I loved being reminded, again, that it only takes a handful of words for masterful writers to make magic. Road maps. I have practically no sense of direction, but given enough time, I can figure out which way to go with a decent map, especially if it comes with step-by-step instructions. We just returned from a two-week trip to Colorado, and I took advantage of Map Quest and other smart phone apps for the first time. 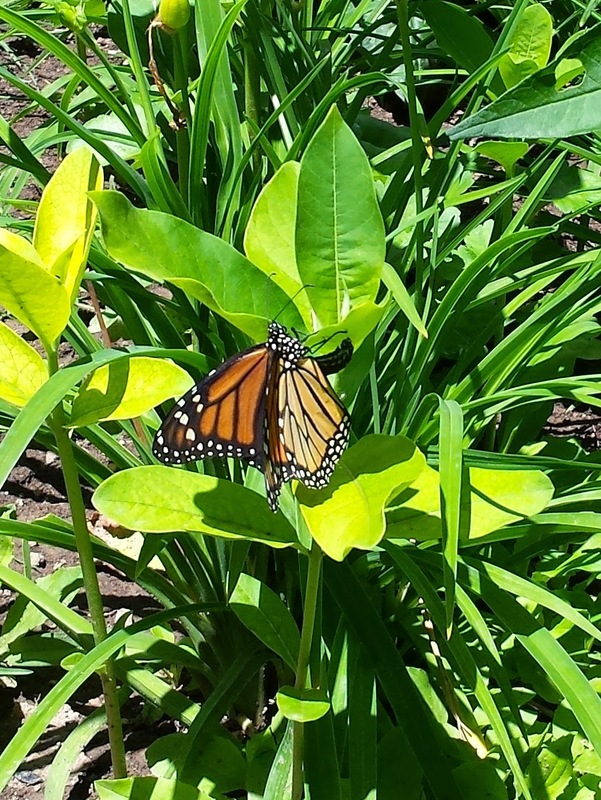 Draft after draft of the monarch manuscript I’ve been revising since we've been home. I am getting closer—I hope! Research on multiple topics for future books of my own and a couple freelance fact-checking projects. An adult book (gasp!) I borrowed from my husband because I didn’t make it to the library before we left town. I’m finding it a bit too long and convoluted, but I’ve grown attached to the characters, so I’ll probably finish the book just to find out what happens to them. Today I'm kicking off a series of posts in which we TeachingAuthors talk about a book we recently read or are currently reading. Thanks to the lovely Linda Baie over at TeacherDance, I know about a meme in the blogging community called "It's Monday, What Are You Reading?" 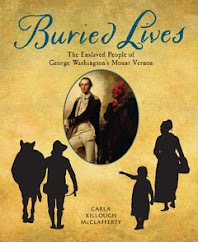 hosted at Teach Mentor Texts. 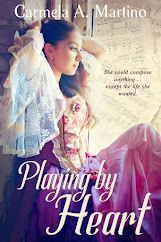 I'm happy to have a blog post that qualifies for the roundup! 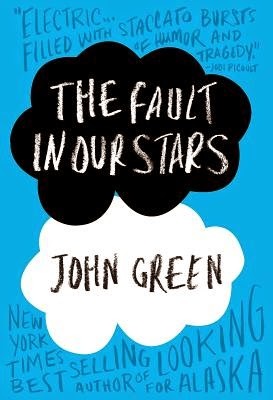 The book I'd like to discuss is John Green's The Fault in Our Stars (Dutton). 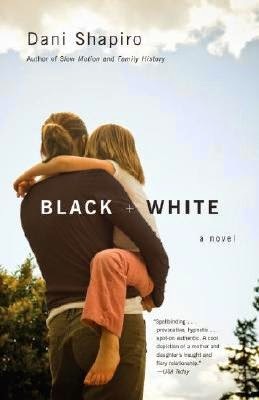 Even though this bestseller has been out since 2012 and has been made into a "major motion picture," I didn't get around to reading it till this month. I might not have read it all if it hadn't been selected as one of our Anderson's Bookshop's Not for Kids Only Book Club titles for August. This is not so much an author’s note as an author’s reminder of what was printed in small type a few pages ago: This book is a work of fiction. I made it up. Neither novels nor their readers benefit from attempts to divine whether any facts hide inside a story. Such efforts attack the very idea that made-up stories can matter, which is sort of the foundational assumption of our species. It reminded me of a question I'm often asked. 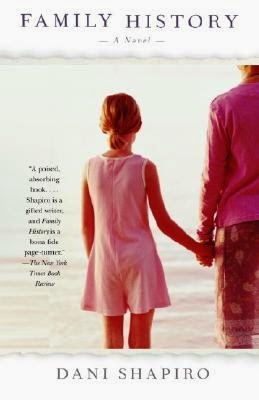 Since my novel, Rosa, Sola, is based on events from my own childhood, readers often want to know how much of the novel "really happened." I think many who ask it are disappointed by my answer: None of it "really happened" because my life events happened to me, not to Rosa Bernardi. I don't think I could have written the story if I hadn't been able to separate myself from my character. Green's note made me think more deeply about the nature of fiction and our purposes in reading/writing it. The note also reminded me of something I read years ago--that fiction is about Universal Truths, or "truth with a capital T." As a writer, I sometimes get so caught up in plot and craft, etc., that I can lose sight of the Truth. If you'd like to read more about what Green meant by his Author's Note, see this page on his website. I have to admit--after first reading this sentence I wasn't completely sure Hazel was being sarcastic. After all, this was a book about a girl with cancer. But it soon became apparent that cancer hadn't killed her sense of humor. That surprised me, as did other things about the book. I'm not going to risk spoiling it for those of you who haven't read the novel yet by telling you what those other things were. I'll just say that I enjoyed the book more than I expected. And, reading as a writer, I learned from it. I wonder how many of you, our readers, have read Green's book. I'd love to know what you thought of it. And if you have any "summer reading" recommendations, do share them with us.